Or the Indian conglomerate Adani that wants to develop the giant Carmichael coal mine in the Galilee basin of Queensland and hires Labor and Liberal staffers to make its case. Development of the Galilee basin coalfields by Adani and other Coal barons will enhance climate change and help drive destruction of World Heritage listed Great Barrier Reef. The folly of these new ventures is that with a structural decline in thermal coal prices according to IEEFA and CitiBank, they are no longer economic without substantial government subsidies, as well as contributing substantial greenhouse gases to the atmosphere during mining, and especially when burnt as a fuel. A study published in Nature in January 2015 found that 95 per cent of coal in the OECD Pacific region (mostly Australia) unless captured and stored with CCS technology, needs to remain unburned to limit global warming to a temperature rise of 2 degrees Celsius. Tom Arup, writing in the Sydney Morning Herald, reported that the "IMF projected Australia would subsidise coal, petroleum and gas consumption by $41 billion in 2015. That is almost two per cent of our gross domestic product." Phase one could connect the solar array generation to the Darwin - Katherine Interconnected System to replace the Natural Gas and backup diesel power stations in the Northern Territory. 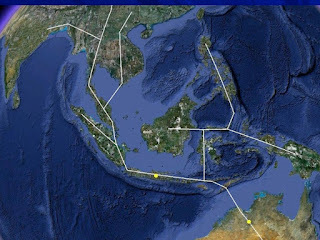 "A very rough estimate for an Australia-Asia Interconnector and associated renewable energy generation was considered to be $8-10 billion, including 2000 km of HVDC subsea cable ($1-2 million per km), 1000Megawatt of solar PV and solar thermal ($2-3 million per MW), $18 million for Indonesian geothermal, and $18 million to upgrade or duplicate existing land AC transmission networks and $18 million for AC-DC converters and contingencies." the workshop report stated. Reduced fossil fuels subsidies and introduction of price on carbon in the region would be very important to enable such a project to proceed, and government support and subsidy would be essential to get the project off the ground. The absence of this possible project being even mentioned in the recent Federal Government white paper: Developing Northern Australia: Our North, Our Future - is all the more glaring. future plan in the region on electrification including utilizing renewable energy." said Mr. Ade Padmo Sarwono, Consul of the Republic of Indonesia in Darwin in his opening address to the workshop. 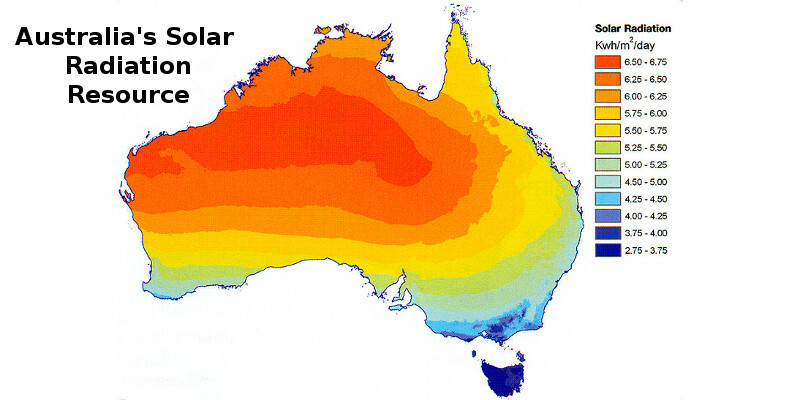 "The NT already exports energy as LNG, oil and uranium to Asia, so why not solar-powered electricity too? As the price of fossil fuels slowly ramp up in Asian nations and as technology and falling costs make grid connection between Australia and Asia a real prospect to catalyse regional renewable energy, there will be increasing interest – and investment – in the proposal." said Hon Peter Chandler MLA, Minister for Lands, Planning and Environment, in the Northern Territory Government in his opening address to the workshop. Increasingly power grids are becoming interconnected with the addition and incorporation of renewables to transform our electricity infrastructure. Norway is using it's enormous hydro power facilities to become the pumped hydro energy storage for Europe through increased grid interconnection. 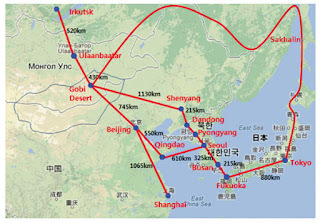 In February 2015 Pradhnya Tajne wrote in altenergymag.com about the development of Large-scale Super power Grid Projects that would incorporate renewable energy supply.